6 powerful diets that can help you recover from chronic illness! When people set out to recover from chronic illness they don’t typically think that there are different diets for different illness per se. The medical profession commonly advises most people who need or want to lose weight and regain their health to; exercise more, eliminate sugar, eat whole grains, low fat and eat plenty of vegetables and fruit. Things have advanced dramatically in the last decade and even in the last few years when it comes to the “right” diet and what’s best for each person. 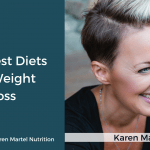 Today I am going to share with you the 6 most powerful diets I use with clients that can help with weight loss and chronic illness including; diabetes, obesity, autoimmune disorders, cancer, allergies and more. Which diet will be right for you? The paleo diet has hit North America like a storm and has quickly become one of the hottest diets out there and all for good reason, because it works! The Paleo diet is really a way of eating that is based mainly on foods presumed to be available to Paleolithic humans such as; meat, seafood, fish, vegetables, root vegetables, nuts, seeds and fruit. Basically, it is a way to go back to eating real, whole, unprocessed foods that are more healthful than harmful to our bodies. The paleo diet is full of foods that force your body into burning fat for fuel instead of sugar. 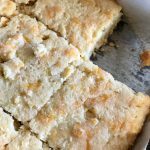 It is geared towards getting you away from the modern day Standard American Diet (SAD) that is so heavy in processed carbohydrates, sugars and unhealthy fats. By eating a paleo diet, you can begin to repair some of the metabolic damage from SAD eating, normalize your insulin levels, and reprogram your genes to burn stored fat for energy. Get started with a Paleo diet in my weekly meal planning and group coaching program here. Autoimmune paleo is taking the paleo diet one step further and removing more of the known foods that cause inflammation in the body including eggs, nightshades (potatoes, tomatoes, egg plant, peppers) and nuts. AIP works to calm inflammation in the gut and in the body. And while autoimmune disease can never be cured, it can be put into remission. The AIP diet is geared toward healing the intestinal mucosa and supporting low inflammation in the body which can help reduce an autoimmune flare-up. Get started with a Paleo diet in my weekly meal planning and group coaching program here. The Ketogenic way of eating causes your body to go into something called ketosis. Ketosis is a metabolic state that happens when you eat very low carb, moderate protein and high fat. Eating this way will force your body to use ketones instead of carbohydrates as its main source of fuel basically turning you into a fat burner instead of a sugar burner. Ketones are what the body produces when burning fat hence the name Ketogenic diet. Following a true ketogenic diet, you would eat fat to supply most of your calories, eat limited protein, and no starchy carbohydrates.Get started with a Paleo diet in my weekly meal planning and group coaching program here. If you suffer from any of the following you may benefit from following an SCD or GAPS diet. Flatulence and stomach pain because of muscle spasms. Eating healthy foods like fruit, vegetables, beans and whole grains seem to aggravate the above symptoms. You have been diagnosed with an autoimmune disorder or small intestinal bacteria overgrowth. You may benefit from trying a Low FODMAP diet. 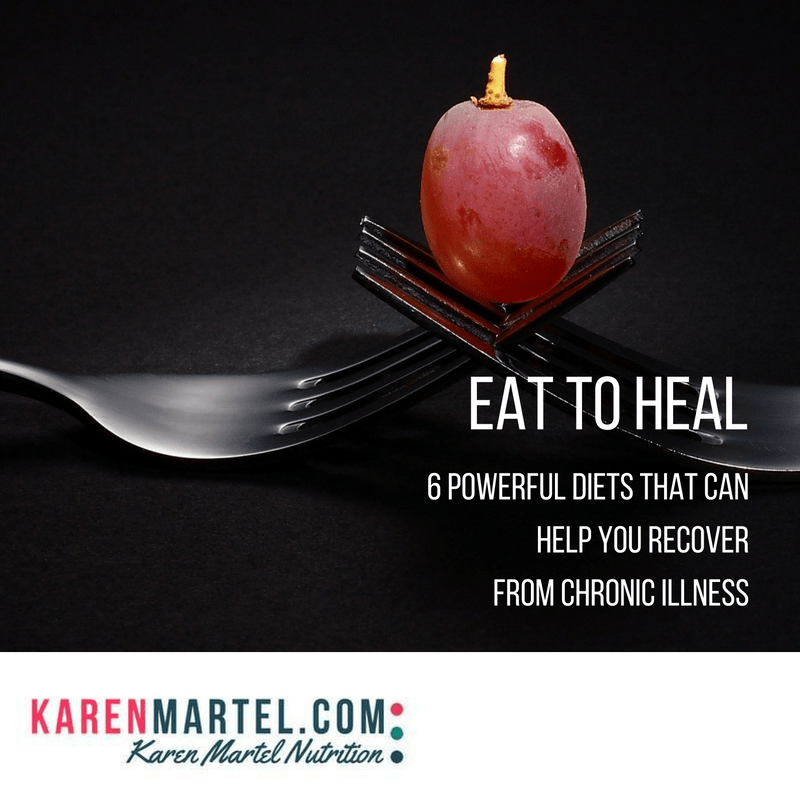 Often today we feel it is “easier” to solve health problems with pills, surgeries and quick fix diets but all illness can benefit from eating the right foods and one of the 6 mentioned above can be a great starting point on the road back to health. With any medical issues it is always best to check with your MD or ND before starting any new dietary program.